Over the past three decades, however, it is absolutely stunning how much Pepsi has ceded ground to Coca-Cola in the sale of its signature brand. Between 1990 and 2018, Coca-Cola cumulatively spent almost four times as much on advertising as Pepsi spent advertising on behalf of the Pepsi brand. As a result, Coca-Cola has largely retained its dominant market share (with 15.3% of beverage sales going towards Coca-Cola) while Pepsi’s market share has dwindled (its 20% position is now 8.4% of the market). Fortunately for shareholders, PepsiCo, Inc., the holding company, not only owns Pepsi but hundreds of other beverages and over three-thousand snack brands so the shareholders have done just fine during this period of Pepsi’s decline, earning almost 11% annual returns since 1990. Despite getting many things right over the past three decades, PepsiCo, Inc. executives should not be satisfied with the performance of its flagship soda brand. If Pepsi spent as much money advertising on behalf of Pepsi over the past three decades as Coca-Cola spent on behalf of Coca-Cola, and as a result, maintained its market share over the past three decades, its annual profits would be around $9.8 billion instead of $8.2 billion. That would take earnings per share from the current place of $5.70 per share to right around $7 per share. Considering that, in most business conditions, shareholders have typically valued Pepsi at a multiple of 20x profits, an additional $1.8 billion in profits would have resulted in an aggregate value of $36 billion in value for shareholders that does not exist due to the brand neglect. People ask: How do you identify good investments ahead of time? For consumer brands, look at the trends in advertising spending, and compare the changes in advertising spending to the brand’s market share, and then compare that figure against the rate of growth for the sector in general. 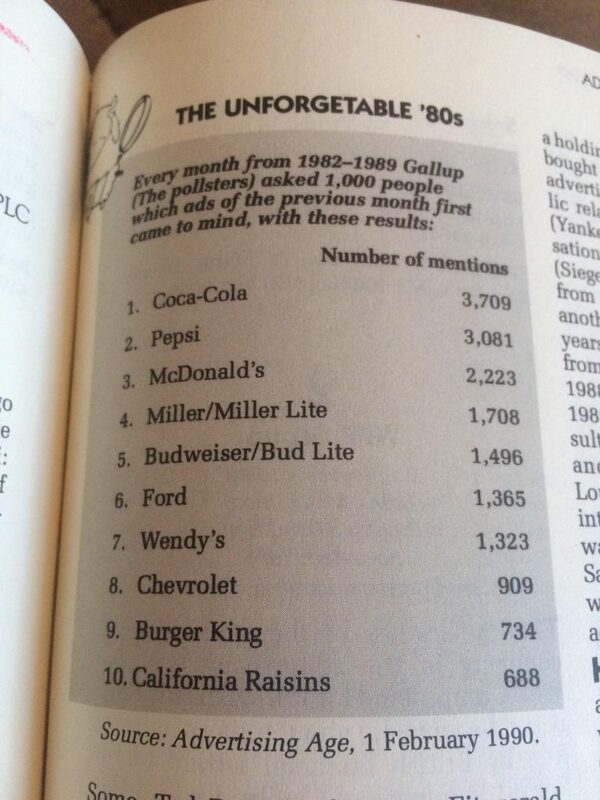 It would have been a waving red flag to see Pepsi cut back its advertising substantially over the past three decades. If there was a corporate spinoff event in which investors had to choose between Frito-Lay and PepsiCo, it would be wiser to load up on the Frito-Lay portion (assuming no significant valuation disparities). If your product is superior, and it is losing market share, mismanagement is occurring. While the shareholder base has been richly rewarded due to diversification of profit sources and the extremely favorable economics for successful beverages, the gap between Pepsi’s theoretical potential and actual reality has enlarged due to current management.